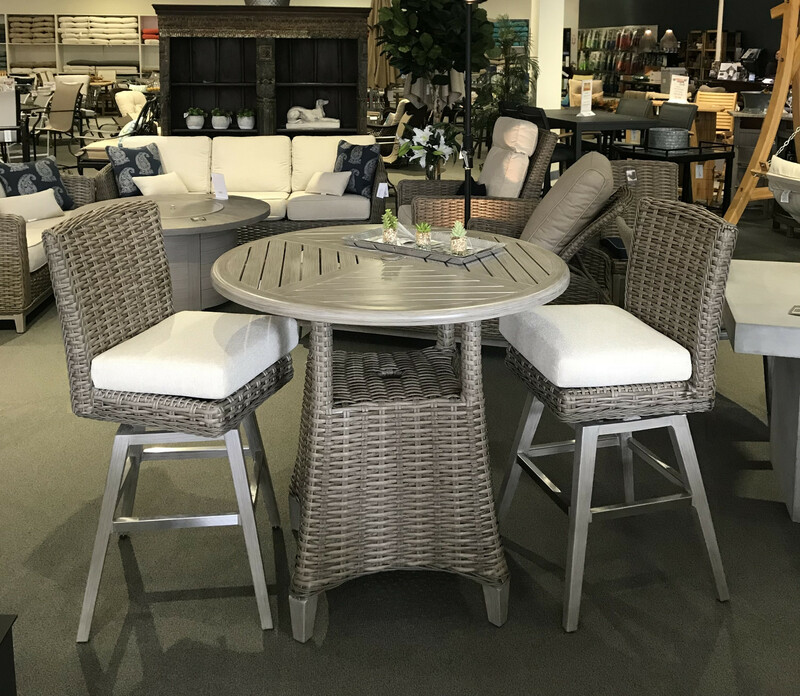 Transitional designed and elegance with a casual look, the Catalina Bar Collection is perfect for an outdoor bar setting. The swiveling bar stool is crafted with high-quality resin wicker that is hand-woven over a durable aluminum frame and the matching resin wicker based aluminum slatted top table completes the collection. This bar set is available in a Roasted Pecan or a Driftwood finish. The Catalina Bar Collection unique balance of comfort and luxury appeal makes it a favorite on your patio.